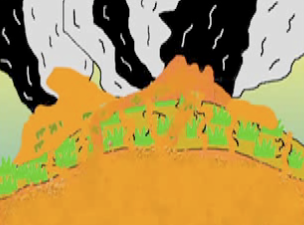 This animation shows a Hawaiian eruption. There are two other eruptions, they are Strombolian and Plinian. A Hawaiian eruption throws lava from its vent which is runny not like the other two. Cool movie about your hawaiian eruption. I really mean it. your graphics are better than usual. I hope your arm gets better soon so you can play more games. Thank's Kayde for the comment i have done a new animaion it is called kowhaiwhai you should look at it.